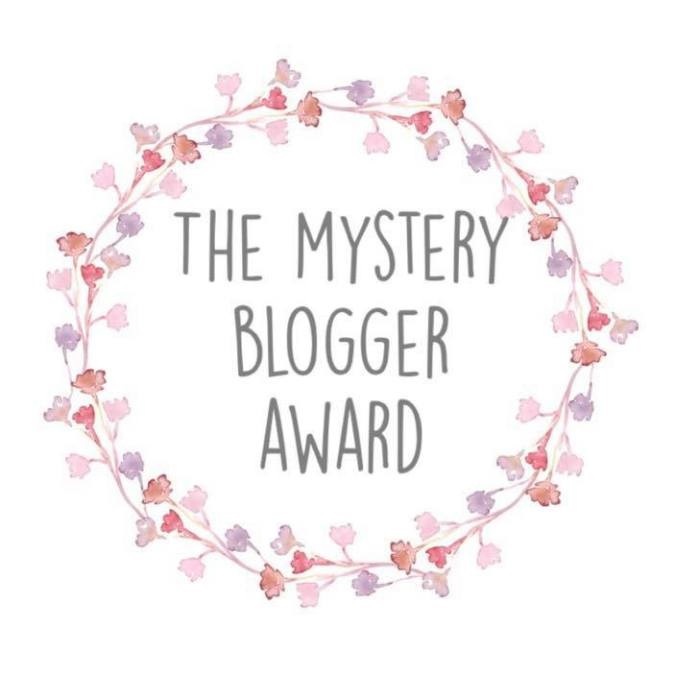 I’m so humbled and honored to share the fact that Emily of “The Pretty and the Kitsch” has nominated me for the “Mystery Blogger” award. Thank you so much for this wonderful surprise! This means a lot to me and really bolsters me up. I’ll not be shy in saying I am proud of what I have to offer on my little space on the Internet, and do find that the time and effort to do it is a real pleasure that brings out the best in me. Yet sometimes I need to hear that what I do is appreciated (don’t we all?) and so this has been such a lovely blessing. As much as I love to talk and write, I do not like talking about my personal self at all unless it’s in the context of some point I want to make or reference, or do some good. I don’t know why. Yes, I can be shy but also very outgoing…I guess it’s just a matter of being content with myself and enjoying a good conversation with others. I have done a lot of varied and curious things in my life and know a range of subjects that keep surprising people I know, so I probably am interesting. Yet, I do not like to lay those things out there generally. Thus, consider this post as me being very brave and please respect the fact that I am going out of my comfort zone here! I do love cars…a small percentage of the reason I am nicknamed “Seam Racer”. In particular, I love 80’s, 90’s, and early 2000 era fast sports cars, especially if they are a stick shift, manual transmission. Years back, I passed up a reasonably priced vintage Lotus Esprit, and I still kind of wish I had gone for it, but I do love my “baby”, a hot red ’93 Ford Probe (with only 60K original miles mind you!) and taught myself how to drive a stick shift on her. This led to me figuring out why a stick shift works the way it does, to learning more about cars than I thought I ever would, to knowing how to make the most out of my car’s peppy motor just so I can be the very first among other cars to get up to the speed limit when taking off from a stop light. My little racing “baby” makes driving so much more fun than most people ever know it can be. One day I want to find an old empty giant parking lot or a lonely winding road and really see what she can do with me behind the wheel. Zero to sixty in a handful of seconds? Yes, please! I not only stick to being creative through sewing, but I also love almost all other aspects of the arts and crafts world. I think I have an inbred desire to see something made with my hands. Ever since I was little, I have made what I wanted with my hands using what was on hand. If I wanted a playhouse, I used a cardboard box to make something way cooler (and cheaper) than anything I saw out there for my parents to buy. If I get excited about a book or setting, or just want a new picture to hang on the wall, I paint or draw something. It’s the same with my clothes creating too, I suppose. If I see it, or if I visualize it, or come up with an idea, I make it happen. I can make jewelry, do calligraphy, make plastic models, cut hair, make rubber stamps, I can do flower arranging (I had been a florist for a year), mix and master music, or just plain make a killer meal. I love it all and do it in spurts, although with a family and a household to take care of, I’m am mostly focused on sewing and writing at the moment. If you had a time machine, where in time would you take it to first and why? I love history. Pick a time, any time or place. This is too hard to narrow down…really. If you could be a character in any book, film or TV show, who would you like to be? This is also tough! I would have to say I would love to be a companion to some of the heroes in the half-fictional classic stories that I love, ones that seemed so real to me when I read that that I’ve almost been half-there. There is “King Solomon’s Mines” in which the intrepid but wise Allen Quartermain would take me through the most dangerous yet picturesque regions of Africa to meddle in the action arising from the Zulu and Boer Wars. Or I could visit “Prisoner of Zenda”, where I could see the handsome Rudolf (or Rupert) in the imaginary territory of Ruritania and get to know the Princess Flavia better. Or there is Narnia, of which I still half-hope to find a portal to one day, and I would love to go there with Jill Pole or Lucy Pevensie. So I suppose this is not really the clearest answer to the question, but the most honest one. Who would you say inspires you the most? My Grandmother (on my dad’s side), who died early in 2017, is my greatest inspiration on so many levels, I can’t even explain it right now. I miss her so much. It would have to be a rounded out meal, because I love a good amount of meat, with veggies and a starch or carb at every supper, with a healthy dessert. I can certainly live without sugar, I don’t have much now the way it is. I really don’t know though. There is hardly any food that I don’t like so this would be a very hard punishment for me. I like variety in my meals, and I cannot live without the occasional strong drink or rich morsel of chocolate. Whatever, I could chose here would be something I would regret. Bi-location, definitely. (I guess this would count as a super power!) I have so much to do, remember, and take care of, that I am often sorely aware at how much I wish I could use that time to spend instead on other things I would rather enjoy. If I could bi-locate, part of me could do the soccer and t-ball game drop-off for my son, house cleaning, wash the laundry, make meals (not all meals mind you, I enjoy cooking but do need breaks), pay bills, and other boring adult/mom things so that I could actually find leisure time to enjoy blogging and sewing better, write my dream stories, read more books, practice my other artistic outlets, or just sit in the sun with my dog for just a handful of examples. Now for my 5 questions to those bloggers I have nominated to answer! What everyday tool could you not live without? Do you have a preferred heel height for your shoes? What is next on your “bucket list”? Is there a pet that you wish you could have?…no limit! That should sum things up here! Thank you again, Emily, for nominating me for this! Go visit her blog and show her some extra love, too. I want to end this post with something very important – that every one of you dear readers also gives me a little award for every comment and viewing. Thank you as well! I wish I could have a mile long list to include all of you for a nomination. This entry was posted in Modern, Uncategorized and tagged announcements, The "Mystery Blogger" award by kellycb. Bookmark the permalink. You’re so welcome!! ❤ I absolutely loved reading your answers and learning more about you! 😀 I hope you're having a beautiful day! Thank you for the nomination! I love reading little details about other sewing bloggers. I will try to get my nominees posted soon! Your welcome, Linda! Take your time with the return post… Were there any big surprises in my personal details (just curious, you don’t have to answer)? Gosh, I had so much more stuff about me I was ready to share it took me awhile to decide on everything to say! Your blog is definitely one of my favorites. Sometimes when you have new posts I load them at home on my phone so I can read them on the commute to work. They are always packed full of history, tips and facts I didn’t know! Also your work is always so beautifully done! Your most welcome! I love the thoughtfulness and quality of your posts, especially your attention to couture techniques recently! Your kitting is amazing and I also enjoy your ‘other’ (non sewing) posts, such as your reviews of body products. I always find them helpful. Wow! Those are some humbling compliments in return. I am glad to hear my blog must be equally good on other devices – I only really only see what it looks like on my personal computer (I don’t have the best of smartphones)! Thank you so much, Kelly! What a lovely surprise! Your most welcome! Hummm…I can’t wait to see what it is we have in common you will share!